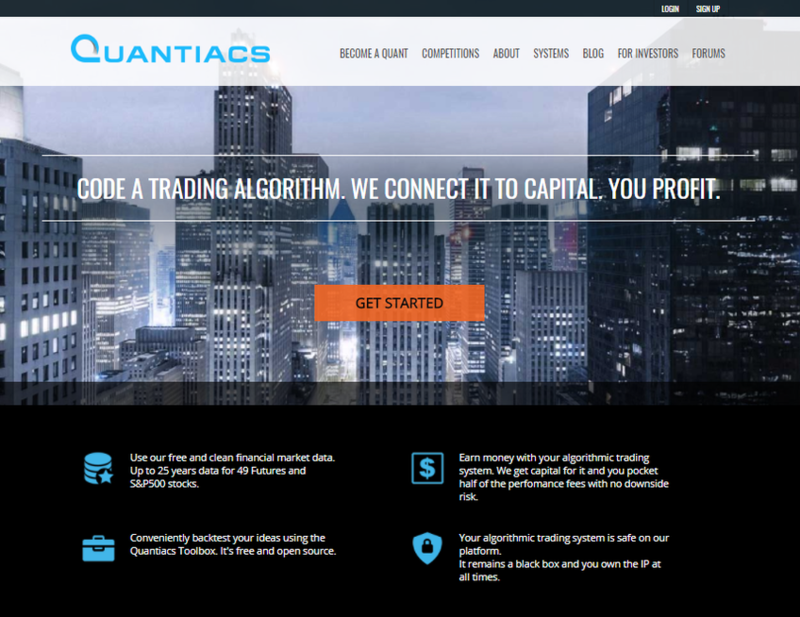 Quantiacs is democratizing the hedge fund industry. We connect user generated quantitative trading strategies with investors and our users pocket 50% of the performance fees. "Our Mission Is To Make Algorithmic Trading Accessible"